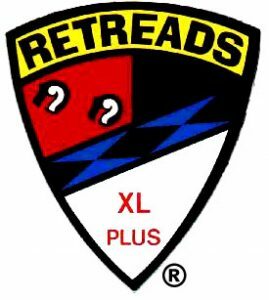 The Retreads are motorcycle enthusiast who have attained and passed their 40th birthday (spouse of member need not be 40). They are riders, persons connected with the trade and interested spectators who have renewed their interest with others of their own age group. They come from all walks of life. The club is chartered with the American Motorcycle Association (AMA), but members are not required to be AMA members. The club was conceived and started in 1969 by George R. Spidell of El Cajon, CA. It grew to approximately 25,000 members worldwide. Members are located in the US, Canada, England, Australia and a few scattered in other parts of the world. The club is basically a fellowship club. Visits are made between members, personal friendships are made and events are planned. Activities range from local “get-togethers” to Area, State, Regional and International events (rallies). Most State and/or Regional leaders put out newsletters outlining forthcoming events and/or rallies as to locations and dates. Ask any Retread member and they can put you in touch with the appropriate State Representative. The expense of operation of the club will be paid by membership donations. A minimum donation is $15.00 for one person and $20.00 for a couple upon joining and renewing each year thereafter. Members renew their membership on an annual basis. These donations are used for postage, printing newsletters, flyers and putting on various rallies and local events. Members are issued a new card every year of renewal. This card is to be presented at all rallies to show that you are a member of the RETREADS.